SWG of Ohio was hired to add our footprint to a $160 million dollar condominium development on the Ohio River in Newport, KY. 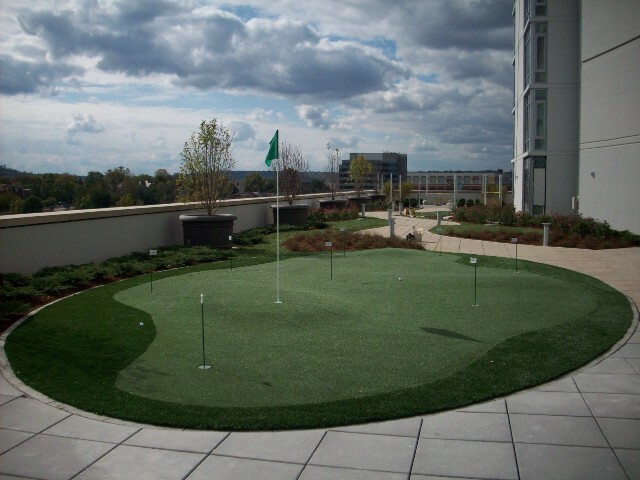 This green was constructed atop the roof of the complex to provide beauty and function to this impressive common area. More pictures of this project are available to view on our website. Go to http://www.southwestgreensohio.com and click on Photo Gallery. Southwest Greens began operations in 1996 in Scottsdale, Arizona. 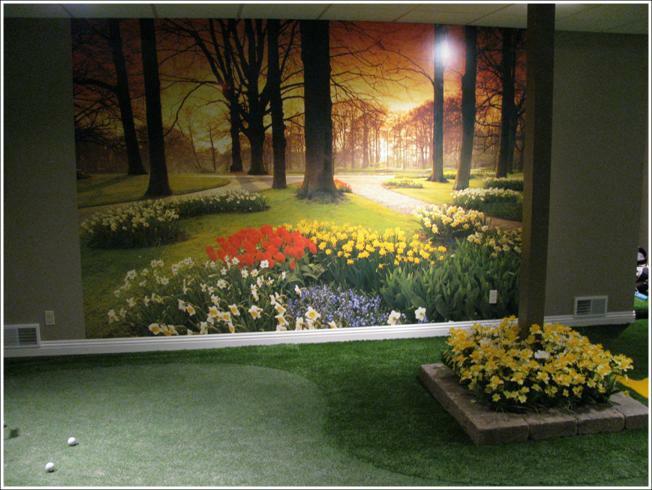 Currently, we have over 120 offices around the world… If you are looking for a green surface that mimics a real green from any distance, you have found it! 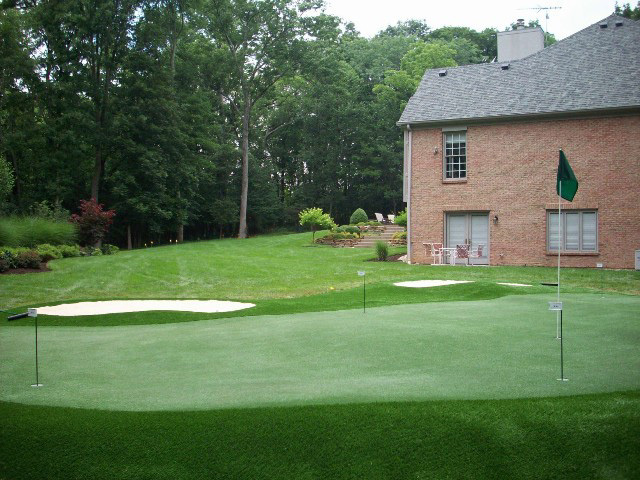 We build greens in almost any setting and for any reason… Who really needs a reason to play golf? Do you want to learn how to score and have fun at the same time? We’ll build yours! 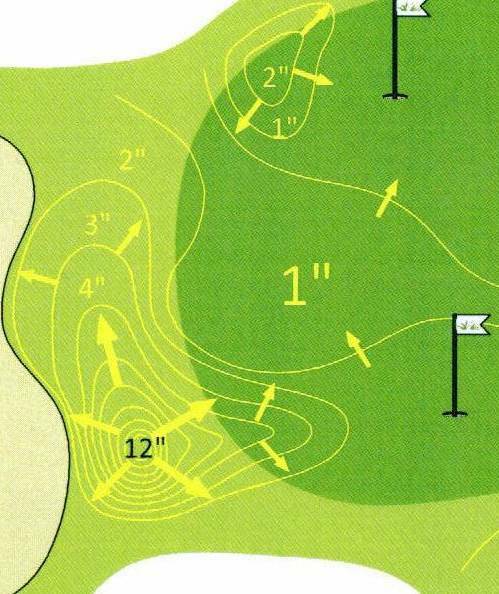 We are a partner with the Nicklaus Design Group. 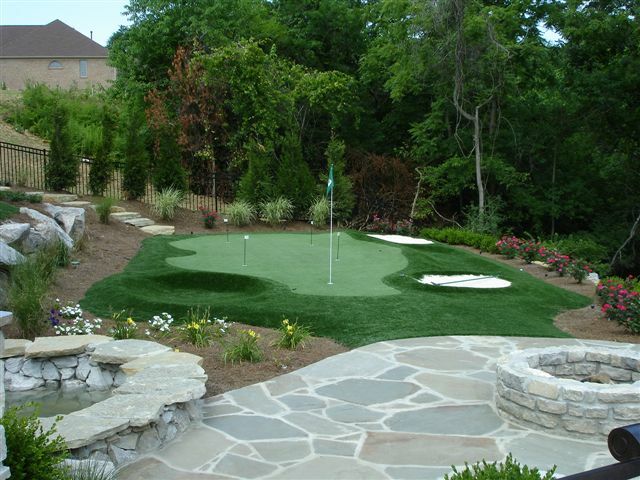 Every green we build is custom designed to accomplish your goals. We are ready when you are! Visit our website: http://www.southwestgreensohio.com to learn more!